Reuters has said that the iPhone 5 will be released in September. And Brief Mobile also reported a leaked video of what seems like a prototype iPhone, running super iOS beta. 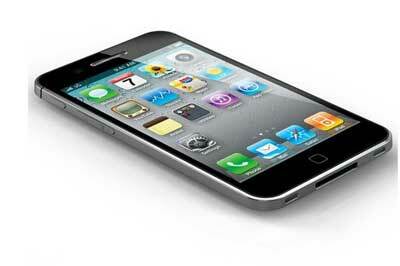 There have been hundreds of similar rumors about iPhone 5. 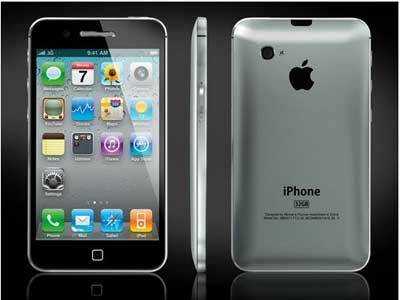 Some say iPhone 5 will be similar with iPhone4, and others say that it will be more powerful and unimaginable smart. People also say that the iPhone coming is actually iPhone 4GS, not 5. Whatever the matter is, the sure thing is that a new smartphone from Apple is coming before the end of the year. Now let’s have a scan about what applications there are can be used for the coming baby iPhone4GS/iPhone 5, especially, how can we convert favorite DVD audio to iPhone series, including iPhone 4GS/5. DVD to audio converter for Mac is a professional tool used for extract DVD and save it as mp3, m4a, flac and .aac etc, so that you can listen to these files on iPhone 4GS/5, and of course including mp3, mp4, iPod, iPhone, iPad Blackberry, PSP and Creative Zen, and if you like, you can also put them to CD layers and listen in the car or at home. And you can choose which part of the DVD audio you’d like to convert, and then merge several pieces into one. iPhone Ringtone Maker for Mac is a fast and easy-to-use Mac iPhone ringtone converter for iPhone users. You can convert WMA, WAV, RA, M4A, and MP3 to M4R iPhone ringtone, and convert AVI, WMV, DivX, MP4, H.264/AVC, AVCHD, MKV, RM, MOV, XviD, 3GP, and MPEG to M4R iPhone ringtone. You can also edit this ringtones and adding some effects to them. This iPhone ringtone maker can directly transfer your favorite ringtone to your iPhone 4GS/5, of course including other smart phones like blackberry. DVD to iPhone converter for mac is suitable for both commercial DVD and home DVD that allows you to rip DVD movies to iPhone H.264, iPhone MPEG-4 with copy protection. It provides robust editing features to customize your DVD movies. You can rip DVD audio to MP3, M4A, and WAV format that accepted well by your iPhone 4GS / 5. Rumor goes that iPhone 4GS and iPhone 5 still doesn’t suppots flash videos. FLV Converter for Mac will resolve this problem for iPhone users. It is an ideal tool to convert, edit and play flv/f4v files from YouTube, MySpace, Hulu, Dailymotion etc video-sharing sites and upload video and audio in other popular formats to these metacafe freely online on Mac. It supports convert flv and f4v video to mp4, mpeg, mpg, mov, avi, wmv, 3gp etc and extract audio from FLV video. You can import flv video to iPhone, and also QuickTime, iTunes, iPod, iPad, Blackberry, Mobile Phones. You can bring flv footage to iMovie, FCP, FCE, Adobe Premiere Pro etc for further editing and take flv movie to iDVD for burning home DVDs on Mac. Audio Converter for Mac is a professional Mac audio converter which provides a simple and fast method to convert between most known audio files: MP3, MKA, WAV, M4A, AAC, AC3, AIFF, AMR, FLAC, WMA, MP2 etc. It converts audio file to MP3, AAC, AC3 etc so thatyour iPod, iPhone and other MP3 players can play it well. You can split a full length audio file to get your favorite clip by setting start and end time or trim it to small pieces. You can also merge several audio files into one file. All of these functions enable you customize your favorite music for yourself. 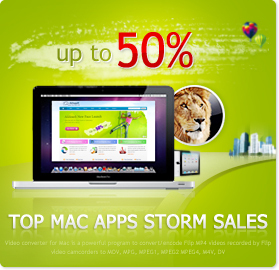 All these applications have been listed as best Mac software, especially for iPhone users. Just choose what you need for your beloved iPhones, especially, iPhone 4GS/5.